Up to 13,000 people were hanged in Sednaya military prison from 2011 to 2015, according to a new report by Amnesty International. The organization said the hangings take place in secrecy in the middle of the night, following one- or two-minute “trials” using “confessions” extracted through torture. The detainees have no legal representation. Survivors of Sednaya spoke of harrowing conditions “carefully designed to humiliate, degrade, sicken, starve and ultimately kill those trapped inside”. Amnesty called the practices a policy of “extermination” in a “human slaughterhouse”. The report is based on first-hand interviews with 84 witnesses, including former detainees, guards, and officials, gathered over a year. Instead, they’re moved to a cell in the basement of the prison and severely beaten over the course of two to three hours (the intensity of the beatings is such that one former detainee described people “screaming like they had lost their minds”). 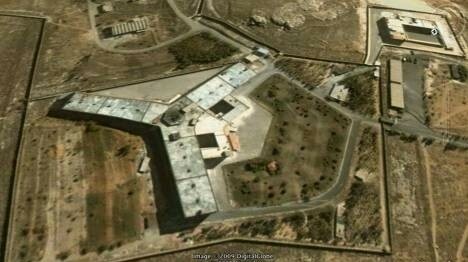 The prisoners are then transported to another prison building (the “White Building”) on the grounds of Sednaya, where they’re hanged in the basement. Throughout the process, they remain blindfolded. They are informed they have been sentenced to death only minutes before they’re executed, and they do not know how they are about to die until a noose is placed around their necks. A former judge who witnessed the hangings said: “They kept them [hanging] there for ten to 15 minutes. Some didn’t die because they are light. For the young ones, their weight wouldn’t kill them. The officers’ assistants would pull them down and break their necks”. After execution, the bodies are taken away by the truckload to be secretly buried in mass graves. Their families are given no information. The report corresponds with and expands other evidence of mass killings. In 2013, a military photographer brought out almost 29,000 pictures of at least 6,786 detainees who were killed or died after torture. Last August, Amnesty estimated that more than 17,000 people have died in prisons across Syria as a result of inhuman conditions and torture since 2011. That figure does not include the estimated 13,000 additional deaths in the latest report.